What are some important considerations in choosing hymns/worship songs for congregational singing? My work as an organist/choir director/director of music in three churches over a period of several years has put me in the position of interested observer on several occasions. The churches happened to be different denominations. There have been many efforts over time to introduce new hymns/songs as well as to increase congregational participation. One denomination published a reharmonization of many hymns in its traditional hymnal. Several new hymnals have also been published. Ministers as well as congregational members attempt to lead the singing fairly often. But how effective are these efforts? Is congregational singing, in fact, improving? The reharmonizations mentioned above were not a success. People knew the first version well, even singing parts without the music in some cases. The new harmonizations added nothing. People disliked hearing them. The denomination has since kept the best of the new songs and published an improved hymnal, including many original versions. From what I’ve heard, congregations are much happier with the change. A majority of recently composed songs are unsingable by untrained singers. They contain skips between notes that are too wide to navigate, and are so syncopated that no one can: (a) read the music; or (b) remember how it goes after hearing it once or twice. 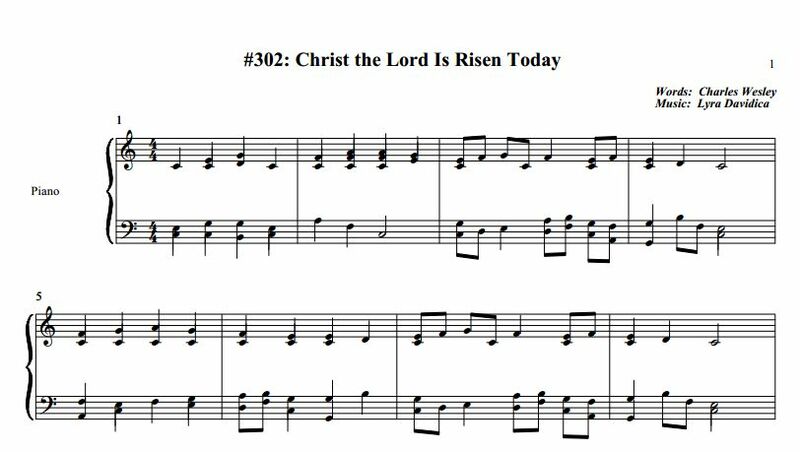 In two such hymnals I encountered recently, I was unable to sight-read much of the music because it was so difficult rhythmically. Here are a few examples. I challenge you to try singing them yourself. Ministers and lay people who attempt to teach songs to the congregation are often well-intentioned but need to think about how to reach their goal, getting people to SING! These leaders often do not know the music themselves, or will start singing on some random pitch. If the song is too low or too high, people stop participating. Sometimes a leader will expect enthusiastic participation in the singing of a favorite song… of the leader’s! I have been in services where that was the modus operandi. The predictable result: the leader was the only person singing. Followup: the leader scolded everyone for their lack of enthusiasm! So… OK, I’ll sing louder… how would it be if I sing Middle C the whole time? I don’t know what to sing! One leader, encouraging children to sing a catchy song, started on such a low pitch that the children could not even phonate! So, no singing. Too bad. They would have enjoyed it. The examples above are failed attempts. Here, on the other hand, are a few suggestions about choosing hymns. More detail about introducing songs to the congregation will be the focus of a future post in this series. You need to sing the song first. Do you feel comfortable by the second try? If your voice is straining, others will have the same problem. One example of vocal range presenting a problem can be found in Happy Birthday. The octave leap at “Hap-py birth-day, dear [name]” is often sung incorrectly. I’m sure you’ve heard the song change key at that point. The reason is that an octave is difficult for many people to sing. Can you read the rhythm from the page? Or, alternatively, can you remember it easily upon hearing it once or twice? Songs are composed to a wide variety of texts, in many languages. Expecting people to sight-read in an unfamiliar language makes them feel uncomfortable. If the language is repetitive, however, they will respond well after someone reads the words/sings the song a few times. And remember, a certain amount of repetition (melody, text, harmony, rhythm) is not a bad thing. Repetition makes songs easier to remember. Many thanks to C.I., Louise Hirschman, Carolina Flores, Sara O’Bryan, Brian Malone, Joe Kenney, and Paul Kenyon for their ideas regarding this blog series.